Are you looking to join a Top Quality Team? If you’re a qualified instructor, you may already have what it takes to become a YES! instructor. We urgently need reliable instructors in & around Dorset, Poole & Bournemouth – start earning NOW! We have a variety of great franchise deals available which give incentive to both the instructor and the school. If both parties can be the best they can, then both can easily prosper. Click the button below to find out more. We also offer all of our instructor free Standards Check training. For Standards Check Training, >CLICK HERE. 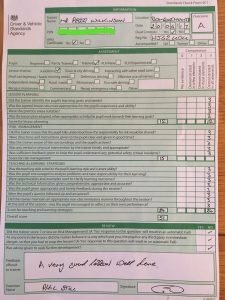 To become a qualified instructor, there are several steps you have to take. At YES! Driving School we have a proven system of training to take you through all 3 parts of the qualifying criteria. Our Director of Training, Pete, has an in-depth knowledge of each part and a variety of ways to present the necessary information, including the changes to the Part 3 Test. Click the button below to view all the relevant information. 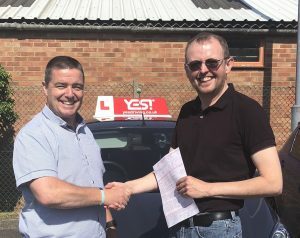 I first met Pete at a local Advanced Drivers meeting, I had been contemplating becoming a Driving Instructor for a few years and after building up the courage I asked him how he became a Driving Instructor. After a 3hr taster session with Pete my mind was made up to become an instructor. Becoming an ADI was not an easy journey for me but with Pete being my mentor/sponsor, I’ve manage to do it. Pete was there every step of the way, any time, any place, anywhere, if I had a question or queries, Pete was there to help. If you are thinking of becoming a Driving Instructor my advice is to DO IT. Pete is an amazing instructor and he will help you every step of the way.